Since 2008 construction workers at Bekset Mansonry (NJ) have been exposed to scaffolding hazards that could have lead to serious injuries and fatal accidents. 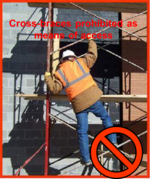 The construction company was cited for 3 repeat violations (lack of fall protection, use of scaffold cross braces to access the scaffold’s walking and working area and missing toe boards) and 5 serious violations including hazardous scaffolding and lack of proper training on scaffold and portable extension ladder set up. 65 percent of the construction industry, work on scaffolds frequently. Protecting these workers from scaffold-related accidents would prevent 4,500 construction accident injuries and 50 deaths every year, at a saving for American employers of $90 million dollars in workdays not lost, according to OSHA. OSHA proposed a $50’000 fine for the negligent masonry company. 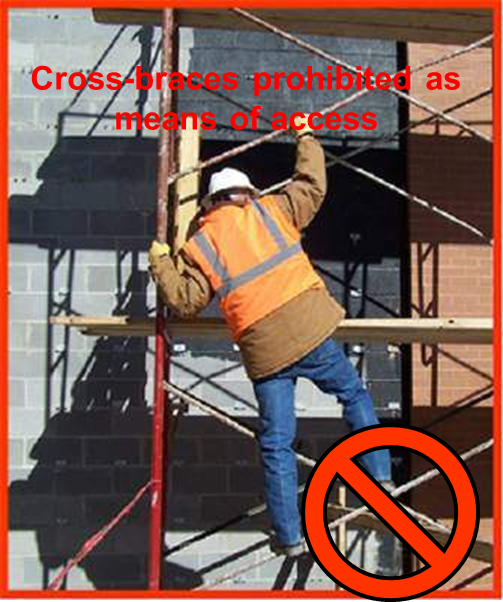 Scaffolding violations and fall protection violations are the two most commonly violated OSHA safety standards. Too many negligent construction companies are still exposing their workers to serious physical harm and death hazards. With 254 victims in 2011, falls are the leading cause of death on construction sites. In order to raise awareness among workers and their employers OSHA has been running a national Campaign to prevent Construction Falls. Click here below for more info.